Welcome to Momyer Chiropractic and Massage, PS! 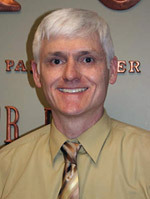 Since 1987, Kent chiropractor Dr. William Momyer has delivered excellent chiropractic care to our community area. Momyer Chiropractic and Massage, PS is a family-oriented place and helps many people with a broad range of conditions. Though many people commonly associate chiropractic care with neck and back pain, there are numerous other problems that can benefit from our natural approach to health care. At our family practice, we don’t just want to help you have a healthier body – we want to help you transform your entire lifestyle. Each of your visits is designed to help you achieve your goals with a personalized treatment plan. Dr. Momyer is skilled in a number of different techniques, selected for you based on your condition. You’ll know exactly what’s causing your problems, as well as our plan to help you get the results you want. Are you interested in finding out what we can do for you? Contact our friendly, knowledgeable team today and arrange a consultation to find out if you’re a good candidate for today’s chiropractic care! I love Dr Momyer and his staff! Very satisfied with the chiropractic care I have received at Momyer Chiropractic. We’re really so happy and satisfied with our chiropractor. It really helps us a lot. Very Professional, great follow up. Don’t wait as long as I did to get the proper help for your various body aches/pains. Dr. Momyer is excellent, experienced, listens, explains as he goes and has the patient as the only concern. A very thorough and comprehensive approach to non evasive chiropractic principles . My wife and I will be regular patients.